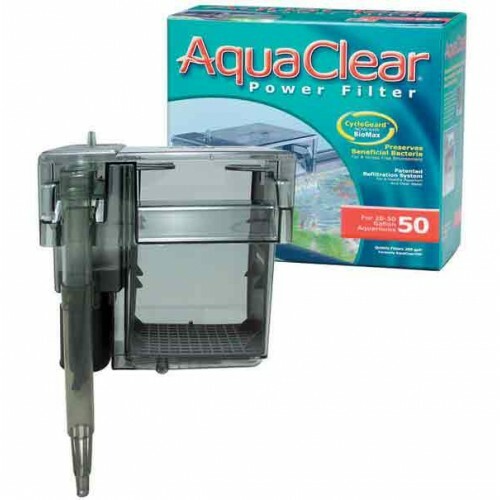 The AquaClear 50 Power Filter provides mechanical, chemical and biological filtration through its multi-stage filtration system. The filter filtration volume is up to 7 times larger than comparable Filters. Good from 40 to 70 gallon tank size. The media basket prevents water by-pass around the filter media maximizing filtration efficiency. 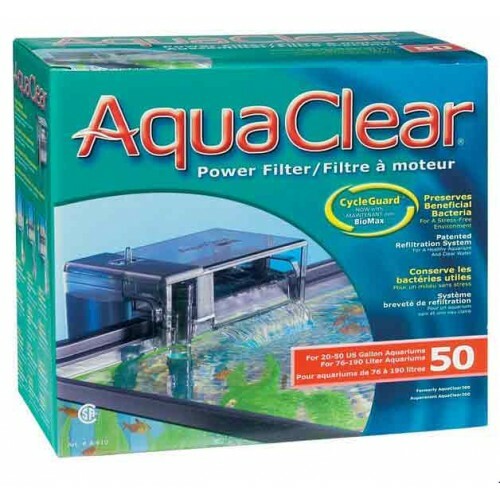 The filter preserves beneficial bacterial creating a stress free environment for aquarium inhabitants and maintains clear aquarium water. Installation and maintenance are quick, easy and convenience. Its unique design filters aquarium water through a natural and almost silent waterfall. Hang on back design, makes for easy installation. 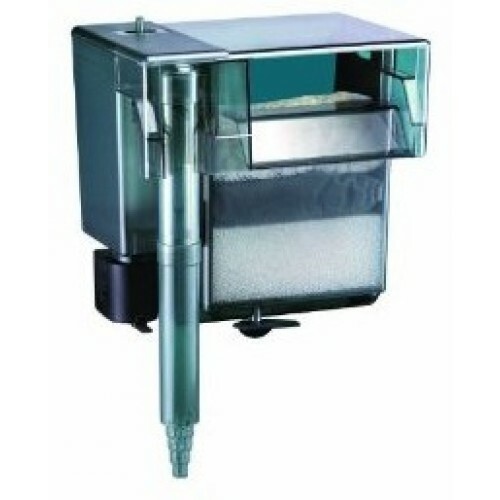 The filter comes equipped with AquaClear Foam, Activated Carbon and BioMax. In addition, the filter is sold in an assortment of sizes, which include the AquaClear 20, AquaClear 30, AquaClear 50, AquaClear 70 and AquaClear 110. A healthy aquarium requires "beneficial" bacteria. Invisible and harmless, beneficial bacteria are essential in the removal of toxic ammonia and nitrate. CycleGuard now with BioMax - Preserves beneficial bacteria for a stress free environment.